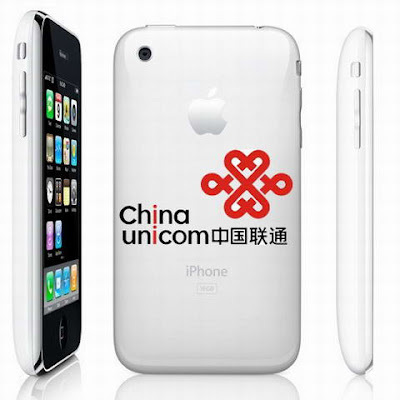 China Unicom is banking on an iPhone frenzy this September, as the mobile service provider has bought five million of the handsets from Apple, according to IB Times. The $1.46 billion (about 10 billion yuan) inventory buy comes just about two weeks after the companies reportedly signed a three-year deal that gave China Unicom exclusive rights to sell the iPhone in China. China Unicom will sell the 8G iPhone for about $350 (2,400 yuan) and the 16G for about $700 (4,800 yuan); IB Times’ source estimates that Apple will generate roughly $100 per unit in profit, a sharp contrast from the $400+ it has been estimated that Apple gets from AT&T. But given the competition the iPhone will have in China from established smartphones, fake iPhone clones, and Dell’s rumored phone with China Mobile, Apple likely had to concede in some areas so that it could take its first crack at the Chinese market. Its certainly a handicapped iPhone taking into consideration that wifi will be excluded, even iTouch has wifi! While full terms of the deal are still unclear, the consensus is that the China Unicom arrangement won’t be nearly as profitable for Apple as its partnerships with cell phone companies in other countries, since it doesn’t include sales subsidies. Without the subsidies thrown to the subscribers, I cant see what are the driving factors to own an iPhone, you are better off buying cracked iPhone with all the features included.